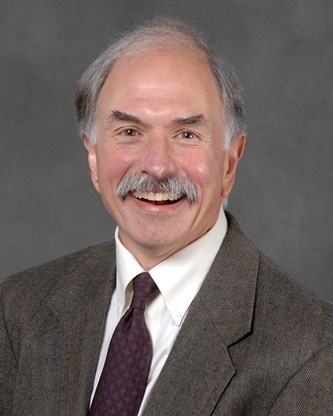 For his leadership, dedication, and expertise, ACM SIGGRAPH recognizes David J. Kasik’s commitment to our community with the 2012 Outstanding Service Award. Dave has been actively involved in SIGGRAPH for many years. He attended the very first SIGGRAPH conference in 1974 and is the only person to attend every SIGGRAPH conference! He has contributed to the organization in almost every way possible: technically, logistically and organizationally. His main organizational contributions have been in two areas: the conference exhibits program and the development of a mentoring program for high school students. A major factor in the growth of SIGGRAPH, both the organization and the conference, throughout the late 70s and especially in the 80s and 90s, was the rapidly evolving use of graphics in 3D CAD. Nowhere was this excitement more evident than on the exhibits show floor at the annual conference. Income from exhibits helped SIGGRAPH explore new ideas for the conference and adapt and innovate to match the changing needs of the computer graphics community. During the 80s the annual conference grew from a strong base developed by volunteers to a professionally managed conference with the same amazing qualities. Key to this was a close relationship between the professional management firms and the volunteers. 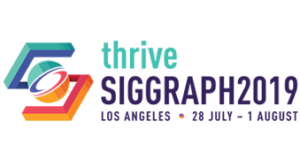 The teams were responsible for ensuring an appropriate balance between a “business-like” approach and the grass-roots enthusiasm that propelled SIGGRAPH to the top rank of ACM conferences. Dave was a major driver of this transformation. He was volunteer Exhibits Chair for SIGGRAPH ‘80 in Seattle, the first year a professional exhibits management firm was employed, with all 25,000 square feet of the Seattle Coliseum selling out. This set a pattern that established exhibitors as equal partners with other stakeholders. Dave returned as volunteer Exhibits Chair in Orlando in 1994, selling out 104,000 square feet. He served as Exhibitor Advisory Committee Chair from 1981-92, providing continuity and an active voice for the exhibitor community. Equally important is Dave’s contribution to SIGGRAPH’s future. As head of Computer Graphics Pioneers a decade ago, he established a mentoring program to attract high school students to computer graphics. He has had a leading role in this organization every year since then. His dedication and enthusiasm for bringing new people into our community is truly impressive. Over 100 students have participated to date, with perhaps half going on to careers in computer graphics or related areas. Dave Kasik is Boeing’s Senior Technical Fellow in visualization and interactive techniques, exploring new ways to visualize huge amounts of geometric and complex nongeometric data. He earned a Bachelor’s at Johns Hopkins University (1970), and a Masters in Computer Science at the University of Colorado (1972).